Close devices, books, conversations, and eyes for a mindful moment. Breathe. Become calm. Focus. Consider the idea that Water is your real teacher. What is water saying in this photo? What does water teach about water? What does water teach about matter? What does water teach about “doing” science? Questions. Share questions, periodic table apps, water property videos. Share/present and discuss graphs in large group. What do the temperature vs time graphs of heating water and cooling water suggest about the relationship between matter and energy? 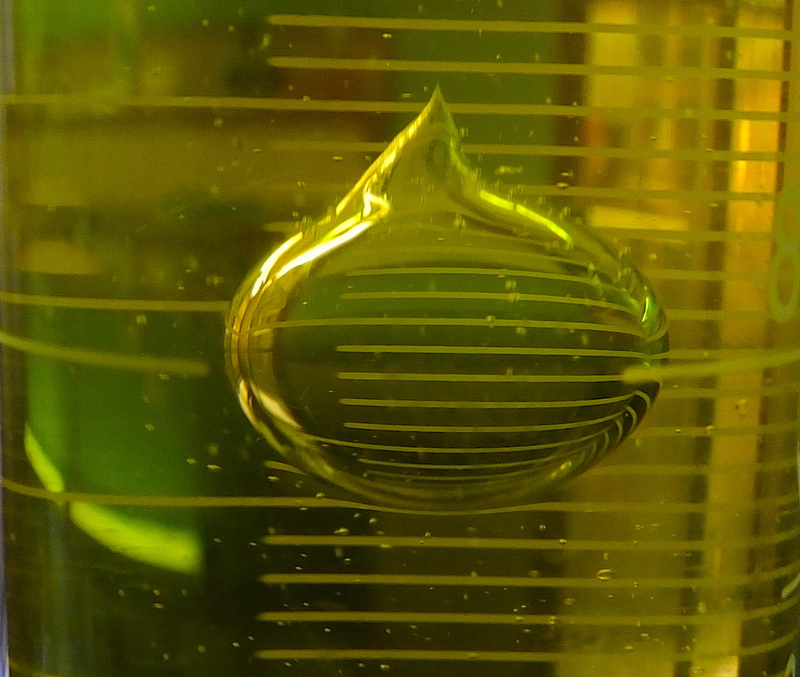 Check your evaporation experiments. Enter the data. I saw some discrepancies in some of the data entries. Please check. Is your name and your group’s data entered correctly on the spreadsheets? This may be a powerschool point. What is the predominant pattern? What is the rate of evaporation– mass / unit of area / time as in: grams/square meter/hour ? Which has the greater rate of evaporation–the fresh water or the salt water? To what extent does the rate of evaporation change over time for either batch? How can the data be explained? What are your ideas about evaporation? How do you think it occurs during boiling? How do you think it occurs at room temperature? Do you think evaporation occurs at night? Why or why not? What does evaporation “teach” us about matter and energy? How exactly did Mendeleev discover his periodic table of 1869? Atoms from the Ring of Truth. Take notes and questions. Summative project will be introduced on Monday.